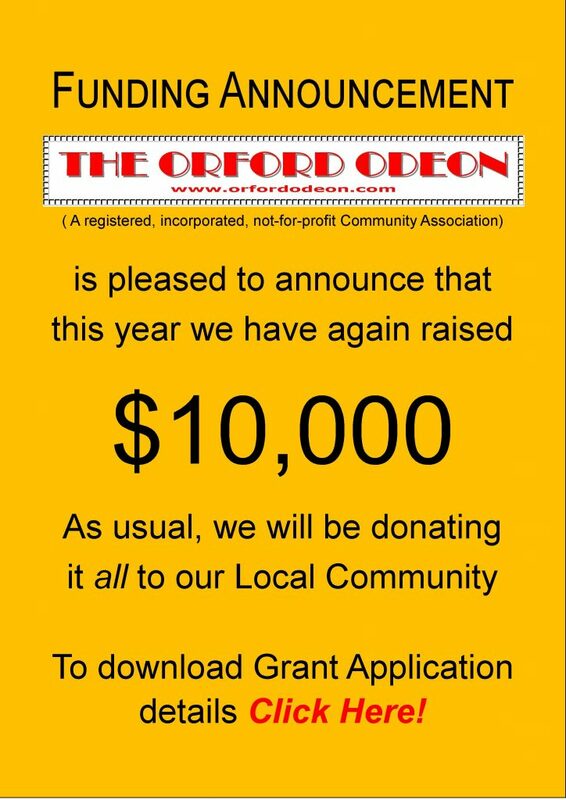 The Orford Odeon is a volunteer-run, registered, not-for-profit Community Association which screens films at the Triabunna Community Hall (TCH) to provide a Cinematic Experience that is accessible financially to the entire Community and raise money to fund projects that are of benefit to the local community. In the foyer, The Odeon Café serves healthy snack packs, chocolates, popcorn, beer, wine, champagne and soft drinks. To create a sense of occasion, the foyer is also decorated to complement each film and the display adds something very special to the atmosphere and entertainment. The enterprise has been in operation since December 2010. It was created, and is driven, by volunteers from the community.